The Godfather of French poker has a new home with partypoker. A long-awaited award for one of the most beloved players in Europe belongs to Bruno Fitoussi. 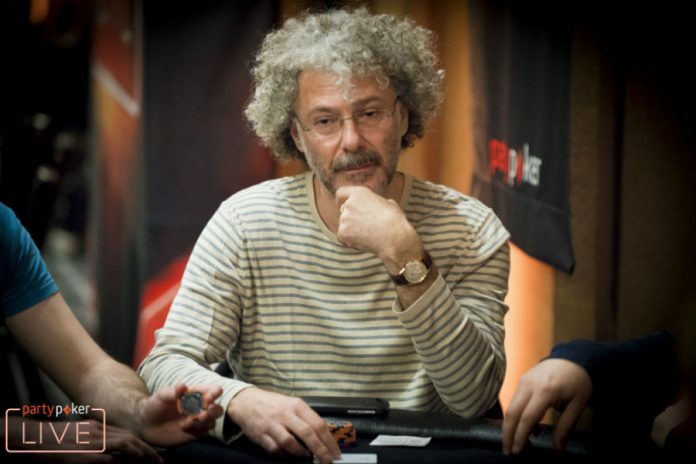 The 59-year-old Frenchman is the latest member of the partypoker roster of ambassadors. Per partypoker, Fitoussi’s official role is to be an ambassador for partypoker LIVE’s global tour of events. Fitoussi’s name is one consistent with excellence at the poker table both in tournaments and cash games. As partypoker moves to expand their tournament reach, Fitoussi is by their side to spread goodwill at all partypoker LIVE stops. The first stop for Fitoussi representing partypoker is at the end of September for MILLIONS LIVE UK at Dusk Till Dawn in Nottingham. The Aviation Club de France in Fitoussi’s home of Paris held his services for 20 years as their poker consultant. As Fitoussi shifts roles to the global side of poker, he remarked on the change and excitement for the partnership. The peak of Fitoussi’s tournament career came in 2007 when he took second place in the 2007 $50,000 Poker Players Championship where he earned his career-best score of $1.278 million. Four Poker Hall of Fame nominations later, Fitoussi’s reputation is sterling amongst his peers at the table and on the business end of the game. In 2003, Fitoussi earned 15th place in the WSOP Main Event. Another silver medal at the WSOP went to Fitoussi this summer. He earned $150,990 for runner-up in the $1,500 Pot Limit Omaha 8 or Better event.